The US Government has put into place a $1 billion project on digitizing all of the immigration forms– of which there are nearly 100. After ten years of this digitization process, all the government officials have to show for their efforts is one type of fee that immigrants can pay online. The rest of the immigration forms still have to be filled out by hand on paper. This project was supposed to only cost half a billion dollars and be completed by 2013. However it is now projected to cost 3.1 billion and take another four years to complete. The delays and extra costs in this project have been overlooked by the Obama Administration in an effort to get the project moving along. The Administration is looking to overhaul immigration policies and sees this as a vital part of their plan in order to get organized and make filing these forms and keeping track of them much easier. According to records and interviews, it seems the project was mismanaged from the start. The basic computer plans were not created until three years after the project was funded. When they began creating the computer plans for the program, the technology that was used was already outdated. By the time 2012 came around, the project was riddled with defects, but it was rolled out regardless. Originally three forms were digitized, but two of them had to be taken offline when the computer program had to be removed. Now the only form that is available is one to renew or replace a lost green card. 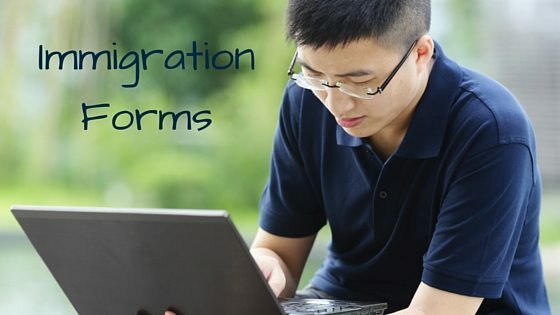 This would allow for immigrants to bypass the inefficiencies of paper forms. However, this form also has it’s own issues. It’s been shown that some have been signing up for replacement greencards and have had to wait over a year, which disrupts the immigrant’s plans for travel, work, and school. This means that in essence, the government is still considered a paper-based agency. With roughly 8 million applications for immigration services a year, so the sooner this project can be finished, the better. In 2012, overhauls were done in order to use more effective technology and was looked at as a huge milemarker to the agency’s history. However only a handful of people got to use the online form before it also had to be taken down due to technical errors. The newer cloud-based system was slow and made it so that there were (at times) as much as 150 clicks through the system in order to get wherever someone needed to be. The blame was passed back and forth between IBM (the company working on this project, for failing at different stages) and the immigration agencies (for not understanding what would be needed for the project before paying IBM). However, as it stands, the current paper filing system is resulting in lost applications, delays, and errors that can cause even further delays. At the Law Offices of Neelam Bhardwaj, we have a complete list of the Immigration Forms that you will need in order to obtain green cards, change your address, apply for travel documents, and more. If you need help filling out and filing these forms, contact us today!